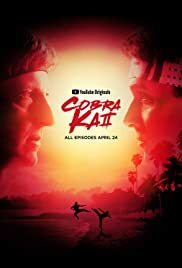 Cobra Kai gains it's second student. Daniel has an intricate plan to get payback on Johnny. Miguel defends Samantha against Kyler during lunch break. Louie's reckless actions forces Johnny and Daniel to go down memory lane. The Cobra Kai students plot revenge against the popular kids. Miguel grows impatient with Samantha. 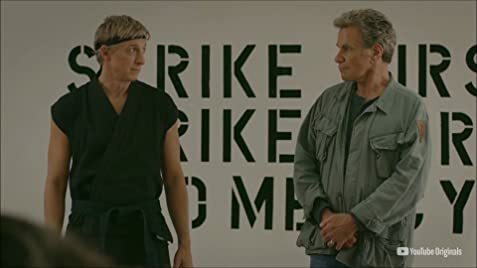 How many episodes of Cobra Kai have you seen? Defeat does not exist in this Dojo! I didn't have many expectations going into this show, or at least, I didn't have high expectations. The ones I did have were that of a fun low budget romp down memory lane. But this is so much more than that. The production values are great, the casting is great, the plot, the writing, the tone, pacing, soundtrack. It's all great start to finish and it has what Mr. Miyagi taught us, balance. It seems to hit so many right notes without pushing anything too far, the comedy is just right, the emotional moments, just right, the cheese, the action, just right. It also does a great job of leaving the viewer to decide who the real heroes and villains are because unlike the movies nothing here is black and white. If you've seen the films, you will really enjoy this. If you haven't, you'll probably really enjoy it anyway. It stands on its own and feels modern, but as a continuity, 30 years later, it does this masterfully and very respectfully to its past and its source without heavily relying on it.